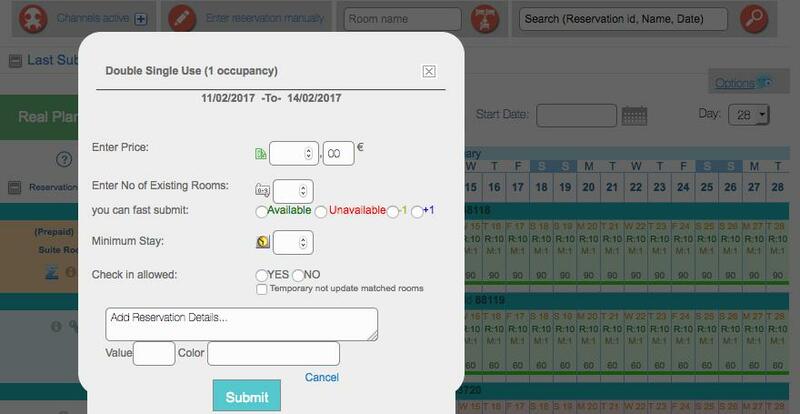 How to enter a manual reservation? Use Octorate to register reservations received via mail, phone or walk-in to keep all your online channels always up to date! With Octorate, you have two ways to enter the reservations that do not come from online channels. 2.Go to the CALENDAR and click on the rows of the rooms: click on the start date of the period, drag the mouse and click again on the last day of the relevant period. If you have the PMS on with the copy auto selected click here to know how to enter a manual reservation directly from TABLEAU of the Real Planning!